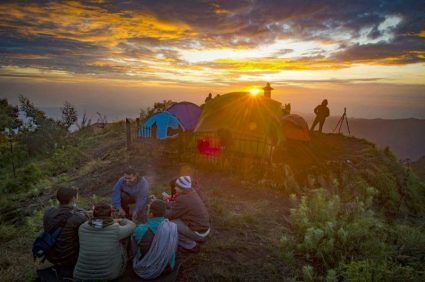 Mount Bromo Indonesia midnight Tour package from Surabaya or Malang is aimed at those of you who have limited time and budget. 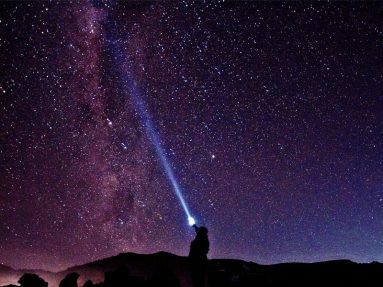 The activities performed at night and finished during the day, short but can enjoy the beauty of Mount Bromo is so famous to the corners of the world. We will pick up from Surabaya or Malang at night using the vehicles we have provided ( Depending on the capacity of existing participants ). Drive from Surabaya or Malang to Cemoro Lawang in Probolinggo city for about 4 hours driving, then change with 4WD Jeep to go to Mount Penanjakan ( the most famous view point is this Kingkong hill ) to see the sunrise, there are some places you can visit the time in Bromo, including Mount Penanjakan, Crater of Mount Bromo ( 2 Locations ), Savannah / Teletubis hill and Whispering Sand ( 4 Locations ) after that Jeep Bromo will back to Cemoro Lawang and change car to continued the trip back to Surabaya and tour finished. If you have enought time you can visited to Madakaripura waterfall nearby mount bromo. Madakaripura Waterfall is very famous because this tour is not far from the main tourist that is bromo mountain. The distance is not too far to make this place a destination by the tourists after a visit to Mount Bromo, just 1 hour drive by car to get to this waterfall tour. So it would be a pity if you miss a visit to Mount Bromo but didn’t visit to Madakaripura waterfall.